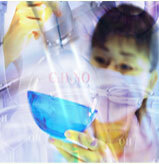 Beijing eternalchem is a supplier and manufacturer of medical intermediates and fine chemicals in China. We are specialized in producing and developing various building blocks, including aromatics, fluorochemicals and heterocycle compounds. Besides, we could also provide professional services including custom synthesis and custom manufacturing.